Study related stays abroad with a duration of up to six months can be funded through PROMOS scholarships. PROMOS is a program designed to enhance the mobility of students. The scholarships are financed by the Federal Ministry for Research and Education (BMBF) and the German Academic Exchange Service (DAAD). Study periods abroad as well as stays abroad with the purpose of writing a final thesis (also at a company) are eligible for funding. Only in a very few exceptional cases study periods within the European Erasmus+ area can be funded through PROMOS. Stays abroad for writing a final thesis, however, are exempt from this restriction. Internships abroad are also eligible for funding. Internships for ERAMUS+ program countries are managed by the EU Servicepoint. 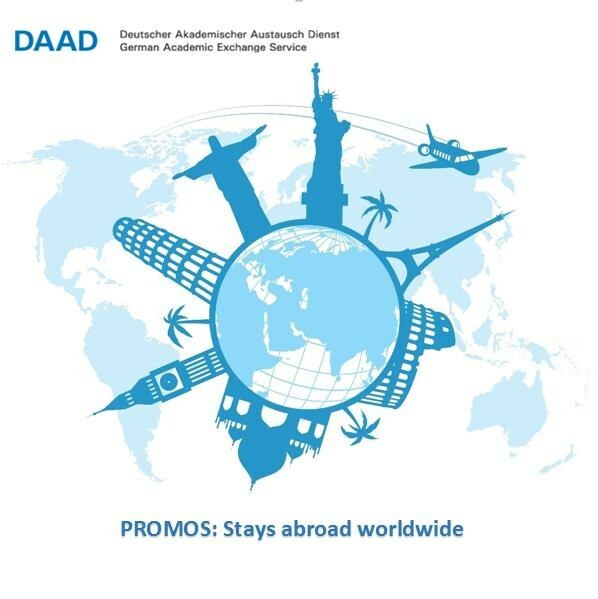 Please keep in mind that not all PROMOS funding lines outlined by the DAAD are being offered by the Universität Koblenz-Landau. The scholarship consists of partial scholarships and/or a travel allowance. The amount of the grant instalments and the travel allowance depends on the respective country of destination. The monthly grant is currently either 300€ or 400€ (depending on the country). Even if a scholarship is granted, the university’s internal selection committee reserves the right to shorten the eligibility period. Tuition fees are not covered by PROMOS. ERASMUS+ and DAAD individual scholarships cannot be obtained at the same time as PROMOS. Please keep in mind that only self-organized or non-commercially arranged internships can be funded. Internships arranged by AIESEC or IASTE are excluded from PROMOS funding. Internships that fit into the special funding programs of the DAAD are excluded from PROMOS funding. These are internships at international organizations (e.g. the UN), EU institutions, bodies and organizations which administer EU programs, diplomatic missions of Germany, the German Humanities Institutes, the Goethe Institutes, the German Archaeological Institute and the German schools abroad.